heroes including; Lightnin’ Slim, Muddy Waters, Jimmy Reed, and Lazy Lester. Florida "Swamp Blues" master Robert ‘Top’ Thomas a native of New Smyrna Beach, Florida has toured and/or recorded t guitarist and vocalist with several renowned Blues artists including; "Noble ‘Thin Man’ Watts", "Lazy Lester", "Victor Wainwright", "The King Snake All-Star Revue", "Alex Taylor", "Bill Wharton", "Blue House", "Mark ‘MuddyHarp’ Hodgson", to name a few; but is best known as a founding member of King Snake recording artist "SmokeHouse". 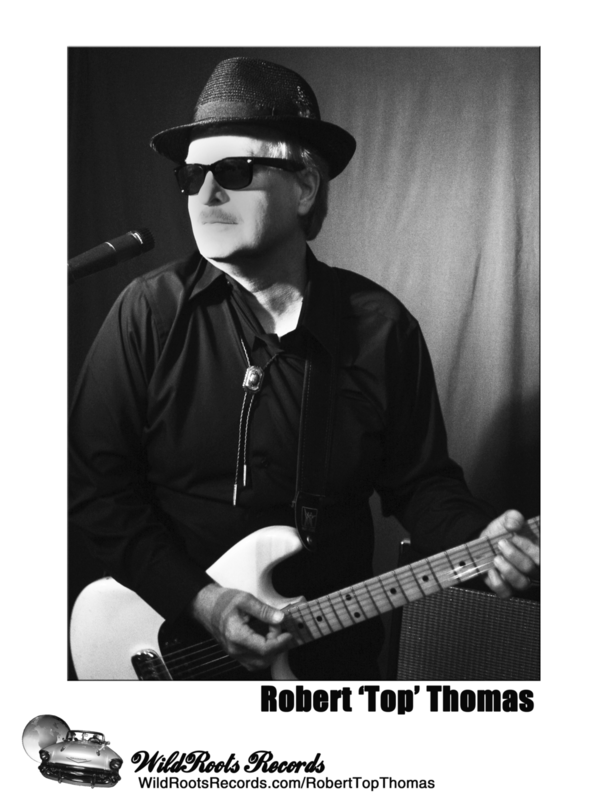 CLICK THE IMAGE BELOW TO VISIT ROBERT'S OFFICIAL WEBSITE FOR MUSIC, VIDEO, HD PHOTOS, ONE PAGE, VENUE RESOURCES, SOCIAL MEDIA LINKS AND MORE!